First year of production ! This premium white was made with barrels and lot of passion. . MOUTH : Woody persistence, brioche flavour. 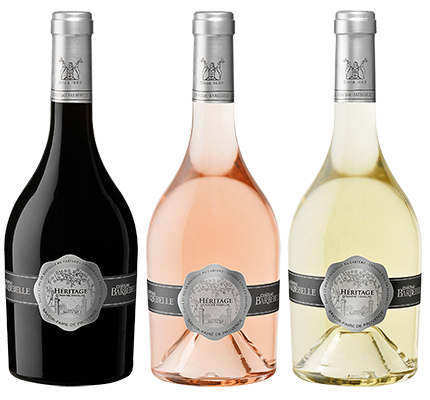 The new cuvée «Héritage» symbolises the family know-how and passion. Concentrate of fruits of the forest this premium vintage with intense freshness offers you the full expression of a «terroir» and will help you savour your most special moments. Reasoned culture. Respect of the environment. WINES PAIRING : The elegance, balance and finesse of the aromas of this cuvée will be appreciated as an aperitif and through a meal. Possible agreement with a carpaccio of beef, ceviche of sea bream, fatty fish, filet mignon of pork.